Woodblock Printing Workshop No dates scheduled at this time. 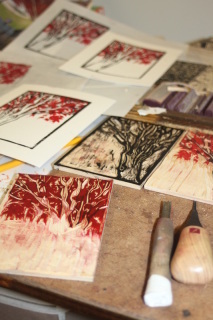 Learn the process of creating woodblock prints, or "woodcuts". Participants will create a line drawing on wood, then carving away the negative space to produce a bold, linear "key block." Participants will then transfer the design to a second block to carve and add color. Printing techniques will be introduced, as well as instruction on using non-toxic Akua inks and modifiers. The woodblocks can then be used to print an edition or experiment with color variations. Advanced registration is required. Space is limited. Materials are included but please bring a photo or sketch to use as reference and inspiration. 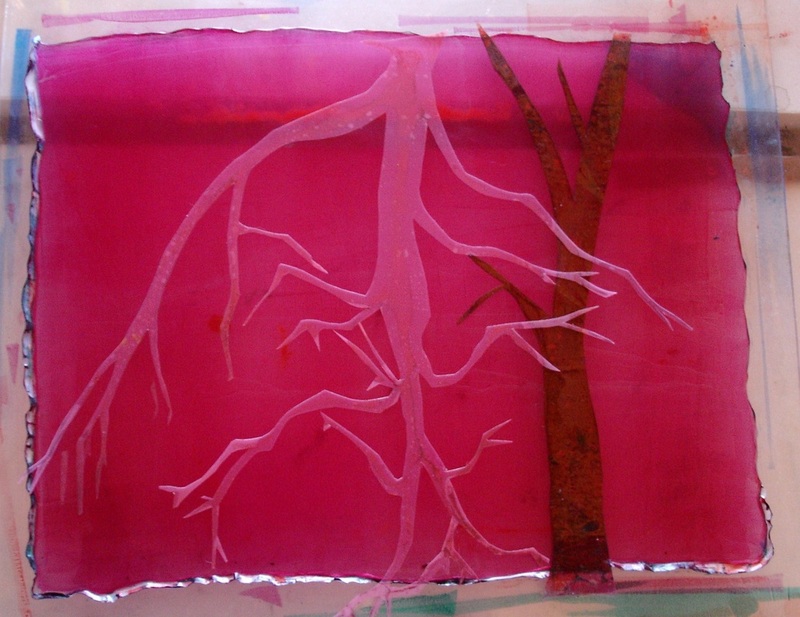 Printing without a Press: Gelatin Monotypes 3 hour workshop -- No dates scheduled at this time. Create one-of-a-kind, painterly prints using gelatin as a printing surface. Ink transfers beautifully from the smooth gelatin surface, with very little pressure. The material is very versatile, and while it can mimic traditional printing processes, it possesses its own unique qualities and the process lends itself to experimentation. · Nature impressions and texture transfers with found materials *feel free to bring plant trimmings or other textures you'd like to try printing. Walk away with a stack of experimental prints and a recipe to make your own gelatin plate for printing. Please register using the "add to cart" above, or you may mail a registration form with a check. Click here for a printable registration form.